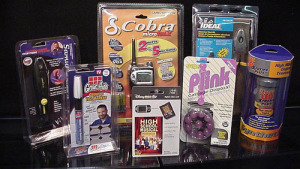 Most people understand that there are materials required to create the perfect retail package. Depending on the category and scope, some of these packaging materials may include chipboard folding cartons (retail box), corrugated master cartons (brown shipping boxes), flexible film (roll stock used for pouching), blister cards, skin cards, printed graphic cards, chipboard or corrugated counter displays (for retail counter presentation) and full pallet POP displays (found in the aisles of Wal-mart, Meijer, BJ’s, Costco and Sam’s). Many consumer packaged goods companies (CPG’s) rely on strategic vendors to help design and support their retail project thru the supply these packaging materials so that their product will be successfully displayed at the retail level. But what is called when an outside source is used to “marry” a customer’s product with those packaging materials thru hand assembly or wrapping, pouching and filling, boxing and sealing, packing, palletizing and preparing them for final shipment? This is called Contract Packaging.